Life is a puzzle, fix yours! It’s been exactly a year since the NSA contractor Edward Snowden made his now infamous leaks of classified US military documents. 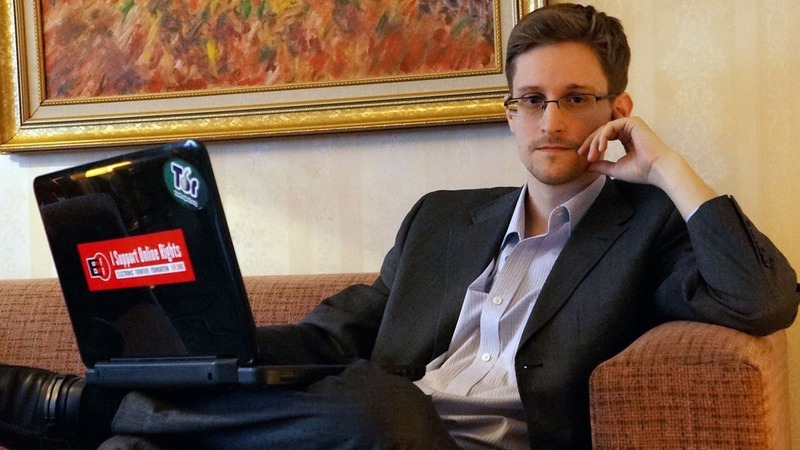 Since June 5th 2013, there has been a lot of debate as to if his actions were those of a hero or a villain and depending on what side of the privacy bracket you belong (NSA, GCHQ, CSEC, BSI et al VS. Privacy, techie/crypto persons) you feel very strongly about which side he lays on. For everyone else, the discussion is a bit more blasé. I’ve meet a lot of people since then, who have either not heard of Edward Snowden or don’t care/have an opinion as to what he did. And I much as I would have loved to say I’m one of those people, the truth is I am not. One year ago, I was one of those who knew little of surveillance, privacy, cryptography, how the internet works or the politics of it. I used the internet blindly, without a care, just grateful that I had access to it at all. Did I know snooping was a possibility? Yes of course. But since the leaks, a few important facts have been made very clear. Every text and email you send is LIKE A POSTCARD. It is completely open and possible for anyone to read it unless it is encrypted. Your phone can be a surveillance device for anyone who has the means. Your calls, sms’s can be intercepted at any point by governments or people with really cheap equipments which can be bought off ebay. If you are not paying for a product, then you are probably the product. I will get to that shortly. There exists a “super-national intelligence organization” that doesn’t answer to the laws of any country called the five eyes (UK, USA, NZA, Canada, and Australia.) They spy illegally on everyone including their citizens in the name of fighting terrorism. No, the surveillance hasn’t primarily been for fighting terrorism. It has been widely used to spy on other countries for trade and economic secrets. The leaks also show that the NSA + 5 eyes have been spying on at least 35 world leaders. Not just governments are bad. Big companies like Google, Facebook, Twitter, Yahoo, make money by selling off your personal information culled from your browsing habits and history. So all those tailored spam/adverts you receive, it comes from gmail, yahoo, hotmail scanning the contents of your email and then sending you ‘relevant adverts’. You can do something about it! From simple things like changing your browser to more concrete steps like changing your email provider. On a personal side, you can learn ways to secure your calls, texts, emails by visiting securityinabox.org. The rest is a lifestyle change. On a political side, you can put pressure on governments to stand up and pass laws that limits mass surveillance (both domestic and foreign). You’ll find others like eff.org, africaninternetrights.org, resetthenet.org, webwewant.org, already doing some good work. So back to Snowden and the effect it has had on me. The positives are that I know the value of my personal information and I can now take a decision on if I am okay with giving out this data to the rest of the world and big corporations to use as they see fit. Additionally, I have learnt to be able to take a step back from the internet to live life more fully. All thanks to knowing that the internet is policed, and that there is more to life than anonymous likes, comments and follows to pump one up on social media. The other part is I am a bit more private. Where I had details me and my thoughts on this blog before, averaging 7-8 blogs posts a month, now I’ve deleted many of them and I careful about the stuff I do upload. I don’t discuss specifics in social settings and I keep everything (work, love, friendship) in tidy and separate little boxes. I no longer have a Facebook account, I am careful about what I post on twitter (I discuss events and specifics days after it has taken place), I ask everyone for permission before having them in a picture and you’d be hard pressed to point out my physical location from my posts. And this used to be the opposite…self censorship is real people! It took the courageous act of Snowden (and a nudge from Tactical Technology) to make that issue relevant for me. And for that, he has my gratitude. So yes, I do care that one individual put the truth out there (risking his life and all comfort) to ensure that we have a debate about mass surveillance.